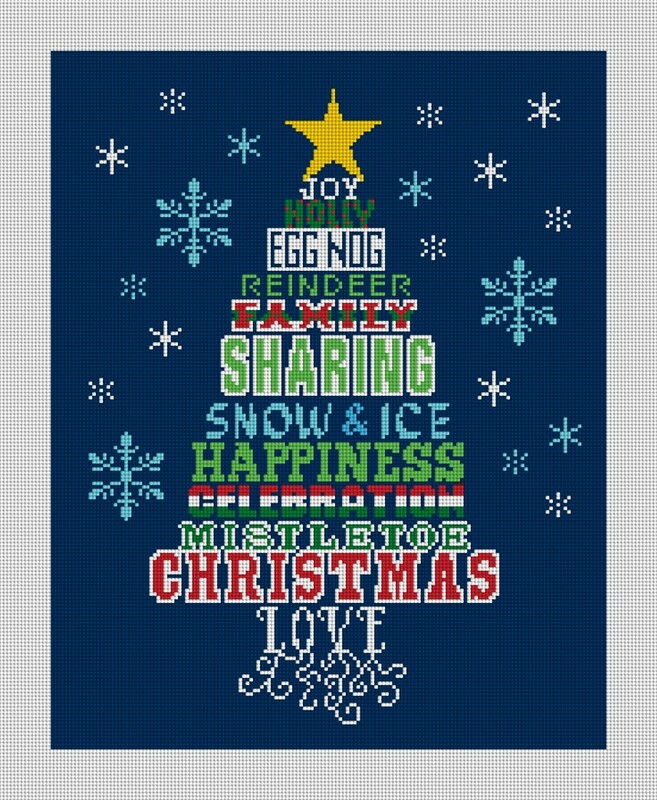 Holiday cheer can be spread around the year with the sharing Christmas tree needlepoint kit. We spelled out a few of our favorite holiday things in this design! The open background is ripe for a textured stitch, if you are looking for ideas, check out our blog! This will be a very fun project to show your skills and also would be great for bead embellishment. If you have something you have something you would like included in the tree design, just let us know. This design is copyright protected.